vineyard. The garden has fig and walnut, plum, apple and cherry trees. There is a large barbecue area under the vines. therefore cooler than the coastal towns in the summer. 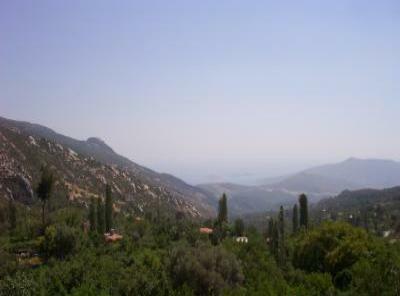 Since it is located 5 miles from Kalkan it is adviseable to rent a car. 300 euros a week or 1000 euros a month.